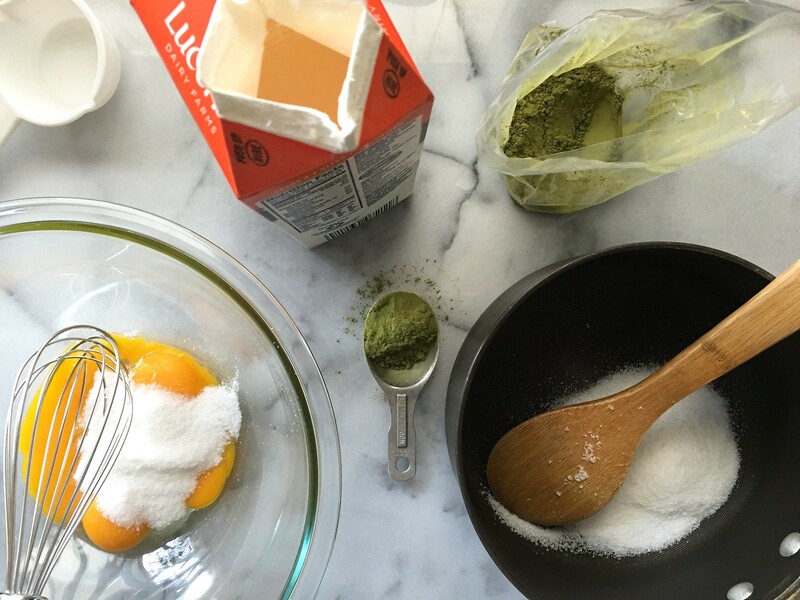 We’ll whisk together matcha and egg yolk and just a touch of cream. We’ll simmer sugar with milk and more cream on the stove. It all gets whisked together and thickens over low heat. Strain, chill, and churn in the ice cream maker. 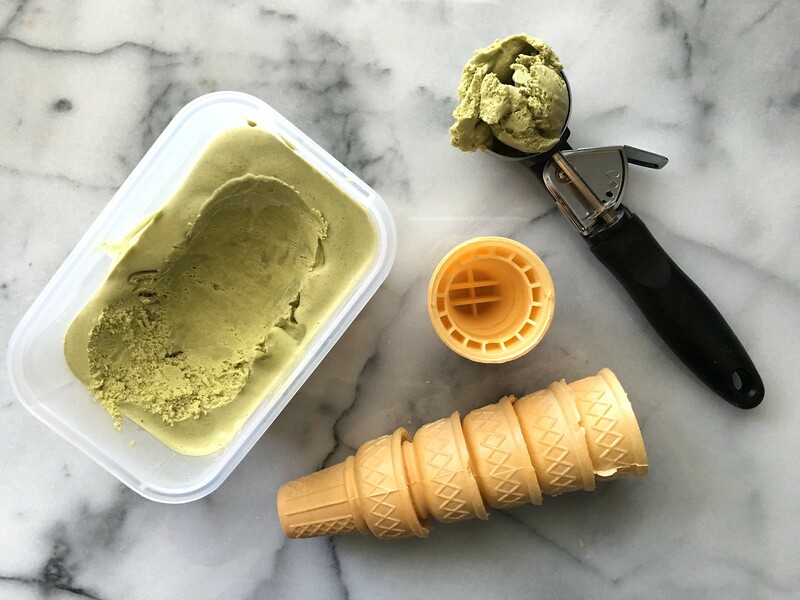 I find that the matcha powder makes this ice cream a little less liquid-y and a little harder to scoop. I like to leave the container on the counter for a few minutes before serving. Want more ice cream? This recipe is a riff on a classic vanilla ice cream. I recommend using this recipe as a base if you want to create your own flavors. 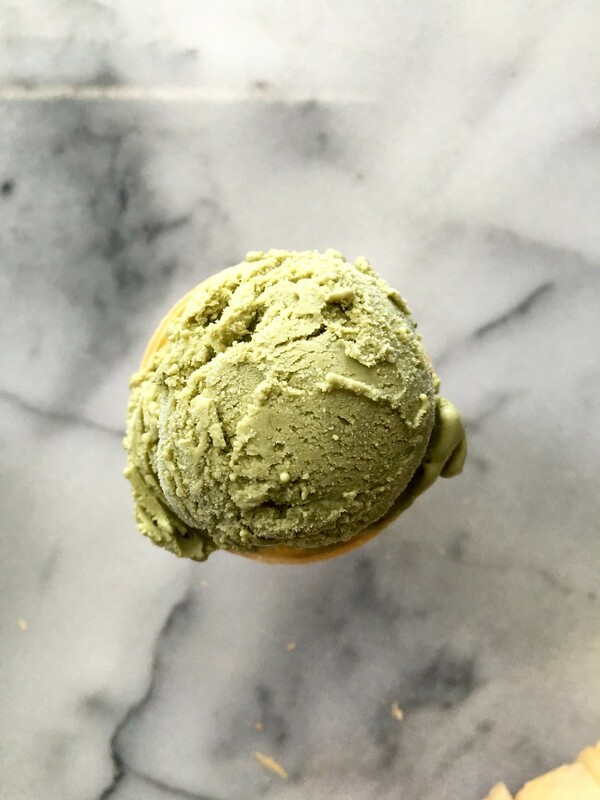 A rich, creamy, lightly sweet matcha ice cream. 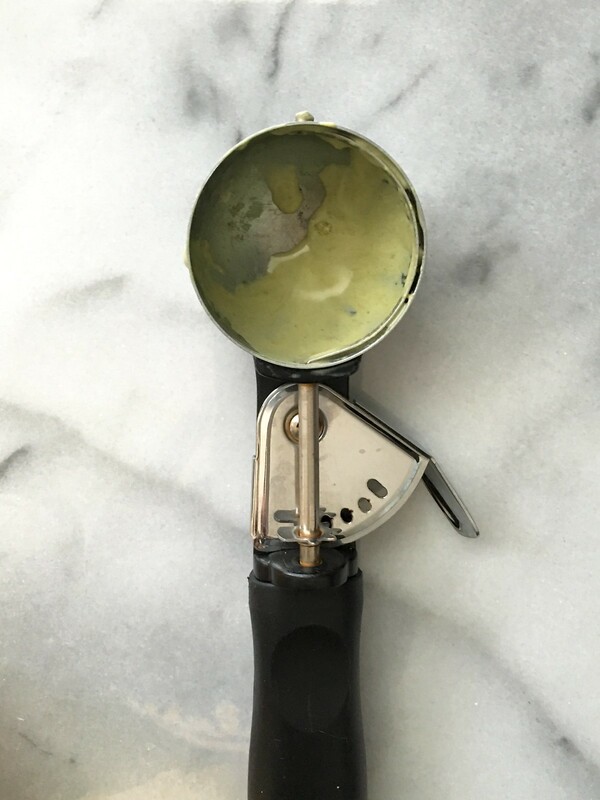 In a large bowl, whisk together the egg yolks, 1/4 cup granulated sugar, matcha powder, and 2-3 tablespoons of heavy cream to form a smooth paste. Add cream a little at a time, as needed, to thin the mixture out. It should form a kind of batter. Meanwhile, heat the 1 1/2 cups heavy cream, 1 cup whole milk, and 1/4 cup granulated sugar in a saucepan. Stir until warm and the sugar dissolves. Gradually whisk ½ cup warm cream mixture into the matcha mixture. Whisk the matcha mixture into remaining cream mixture. Stir in the vanilla if using. Cook ice cream base over medium-low heat, stirring constantly, until thick enough to coat the back of a wooden spoon, 3-5 minutes. Strain custard into a medium bowl. Let cool, stirring occasionally. You can speed up this process by placing the bowl over an ice bath, or you can place the mixture into the refrigerator overnight. If refrigerating, cover with a layer of plastic wrap in contact with the custard to prevent a skin from forming. Churn the custard base in an ice cream maker according to manufacturer’s instructions. Transfer to an airtight container. Freeze until firm, at least 4 hours. No summer is not over yet! I don’t want it to end ever 🙂 I was just thinking about matcha ice cream the other day so thanks for sharing this. Can’t wait to try it.